Matija Bizjan (Ljubljana, 1988) began singing in primary music school, taught by professor Matjaž Robavs. In 2010 he was the solo singer in the Monteverdi’s Vespers, performed by the students of the Academy of Music in Ljubljana. In 2011 he enrolled at the Academy of Music in Ljubljana, where he is currently finishing his third year in Matjaž Robavs’ class. Since January 2011 he has been regularly cooperating with the Slovenian Chamber Choir as a choir singer and also as a solo singer. In November 2012 he toured with the choir, Ana Netrebko and the Slovenian Philharmonic Orchestra, with which he did ten concerto performances of the opera Iolanta by P.I. Tchaikovsky in several of the most prestigious concert halls in Europe. In april 2013 he debuted in The Slovenian National Theatre Opera and Ballet Ljubljana as Caronte in Monteverdi’s Orpheo. In november 2013 he gave a recital in Slovenian Filharmonie; in February 2014, he was a soloist in Charpentier’s Te Deum in Ljubljana and Ptuj. Matija also regulary attends singing competitions. In March 2010 he won the silver award at a state competition of young Slovene musicians TEMSIG in Maribor. In April 2012 he made the semi-finals at the international competition »Ferruccio Tagliavini« in Deutschlandsberg. In March 2013 he received the gold award at a state competition of young Slovene musicians TEMSIG in Brežice. 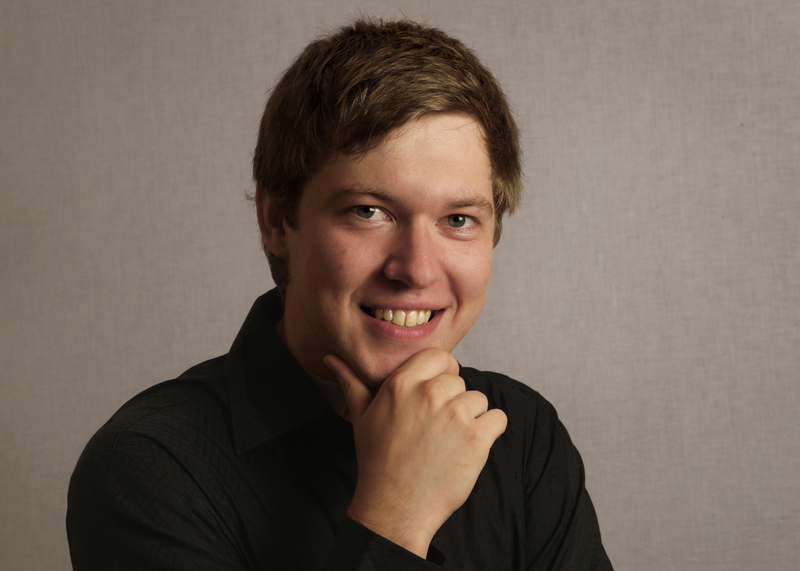 Last year he attended two international singing courses (OperOderSpree in Beeskow, Germany, where he received the audience prize, and the singing course in Mozarteum Academy in Salzburg given by prof. Helena Lazarska).